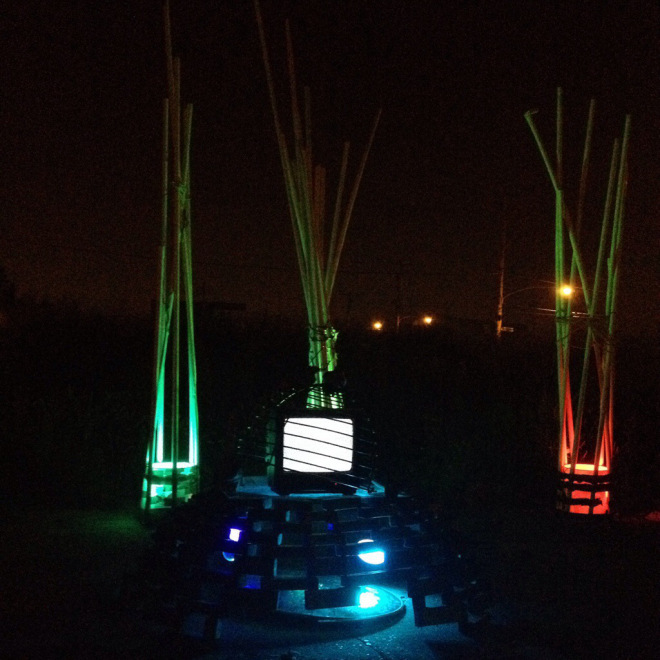 Description of the installation: This was an installation I created in the late summer of 2014, with the help of a few friends (Willow Zef, Andrew Galati, Scott Bickmore, Rachel Mueller, Megan Whalen, Courtney Blue, Eric Clark, Eileen Lillian Doyle, and a few more). 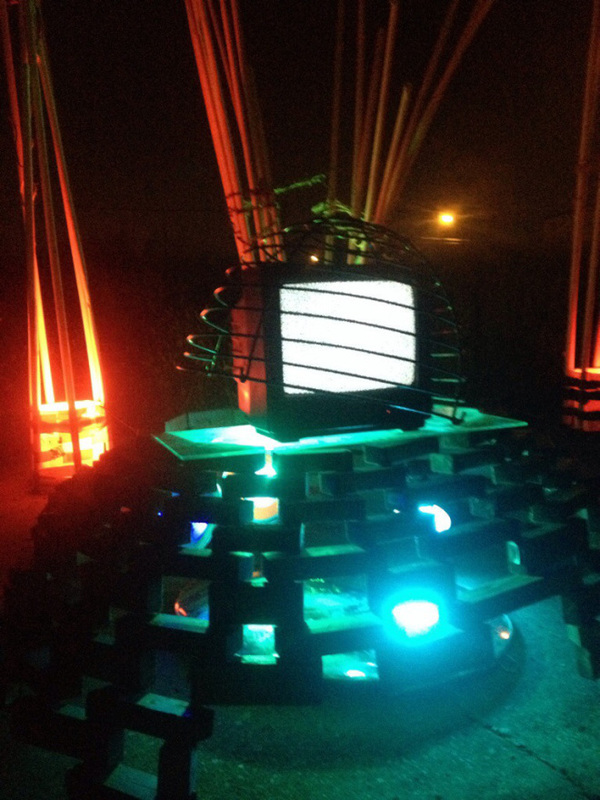 The installation involved me disassembling the contents of my living room at The Dream Oven and reassembling it out in an abandoned lot beside the house. 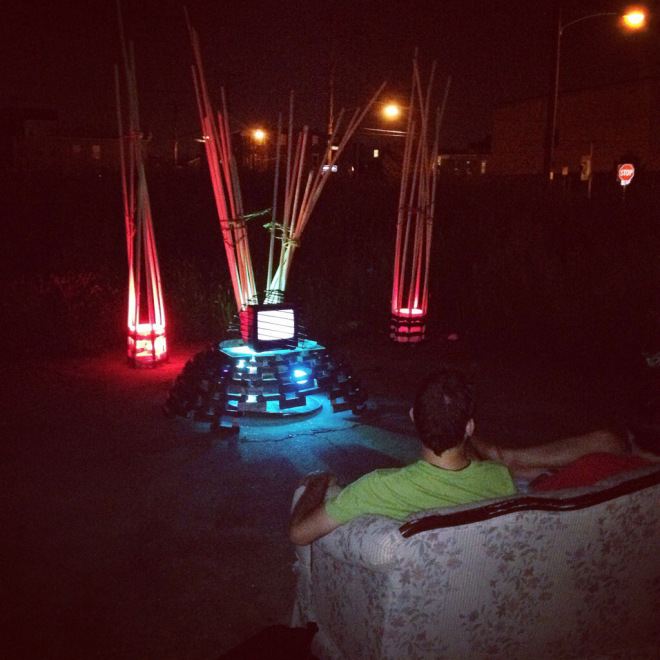 This was all done a week before my fateful move from that house on Emerald Street in Philadelphia, and I think it was one of my more successful TV Installations, though definitely only witnessed by a very intimate audience.